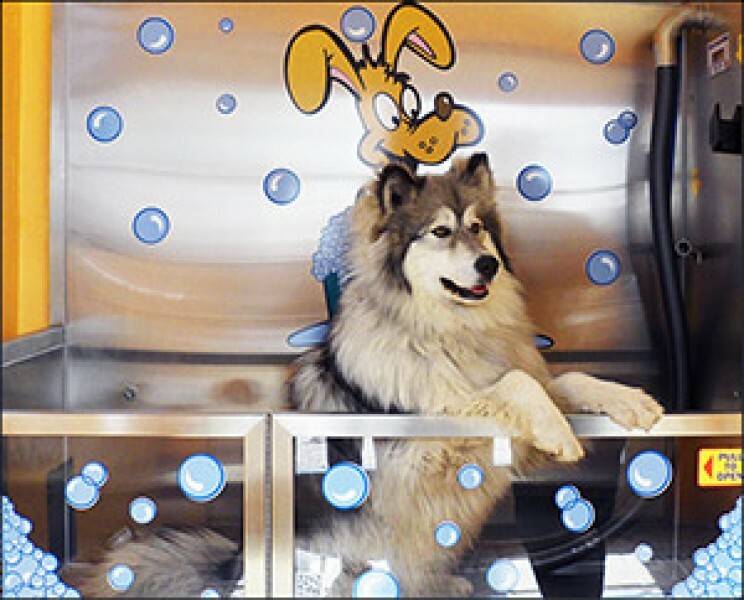 Deep clean your dog faster and easier than you ever imagined! Self Serve Dog Wash...state-of-the-art dog wash system. Easy to use: no more mess in the tub! Affordable: half the cost of the typical professional groomer. Pet Bonding and Health: Fun for the whole family! A clean dog is a happy, healthy dog. We use TropiClean products including shampoo, flea shampoo, and conditioner. The disinfectant is KennelSol. Treats provided for our furry friends. Please feel free to bring any cleaning and grooming accessories that may help your washing experience (towels, combs, more treats, etc). Located behind Liquor World in the Albertson's parking lot.